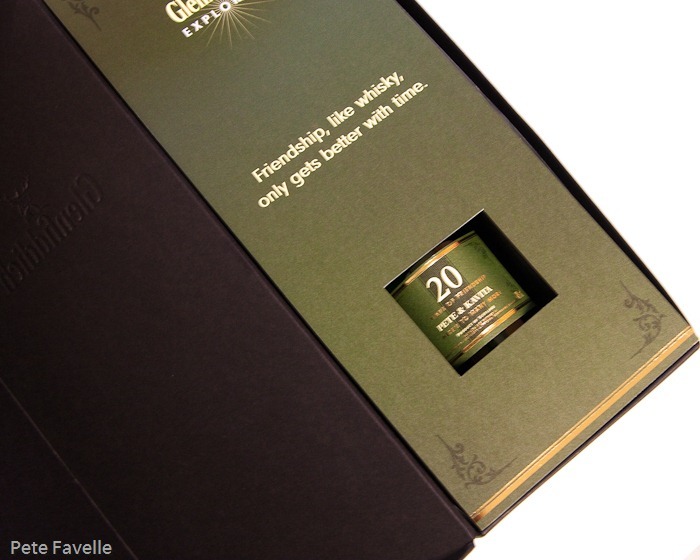 Earlier this year, Glenfiddich invited me (and presumably other members of their ‘Explorers’ fan club) to recommend a friend to join, and in return offered a personalised bottle. I had assumed this would be a standard miniature, so imagine my (happy) surprise when it turned out to be a 35cl half bottle of their 12 year old whisky. For you and your friend. It’s quite a pale straw gold colour in the glass, with a clean, fresh nose. There’s a hint of sweet fudge, a nicely restrained alcohol heat and a pleasant green fruit aroma. With water, those fruit notes become distinctly reminiscent of sharp green apples, and there’s more of a honey edge to the sweetness. There’s plenty of sweetness on the tip of the tongue with the first sip – suggestions of fresh green fruit again, and smooth almost to the point of creaminess. Over time, an almost pepper like heat builds, leading into a long but fairly gentle finish which leaves your mouth quite dry. Watered, again there’s a hint of apple coming through, and the creaminess is less pronounced. 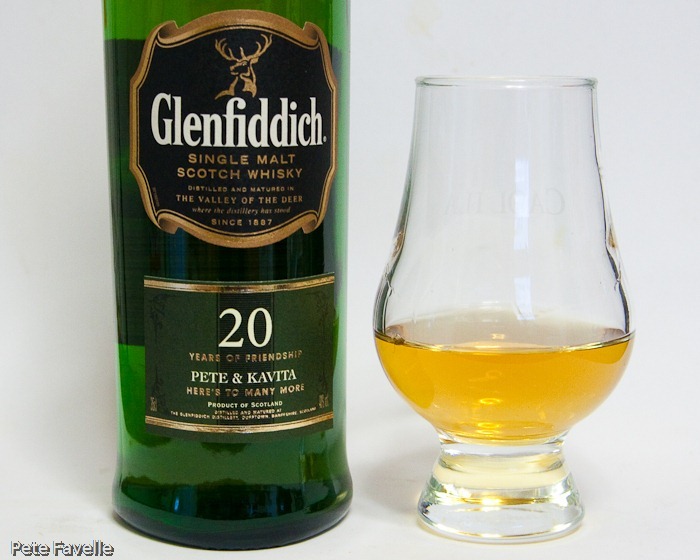 It also takes the harshness out of the finish, and makes it a dangerously quaffable dram. 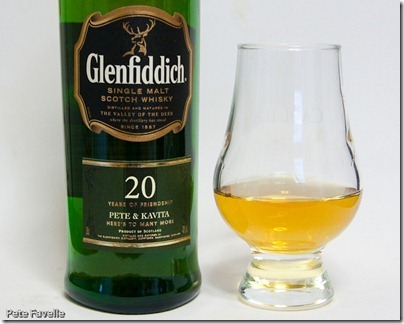 Although it’s not the most complex, it is a well rounded, fresh and easy drinking whisky. Definitely worth sharing with a friend. Master of Malt sells the Glenfiddich 12 Year Old for £25.99 at the time of writing.